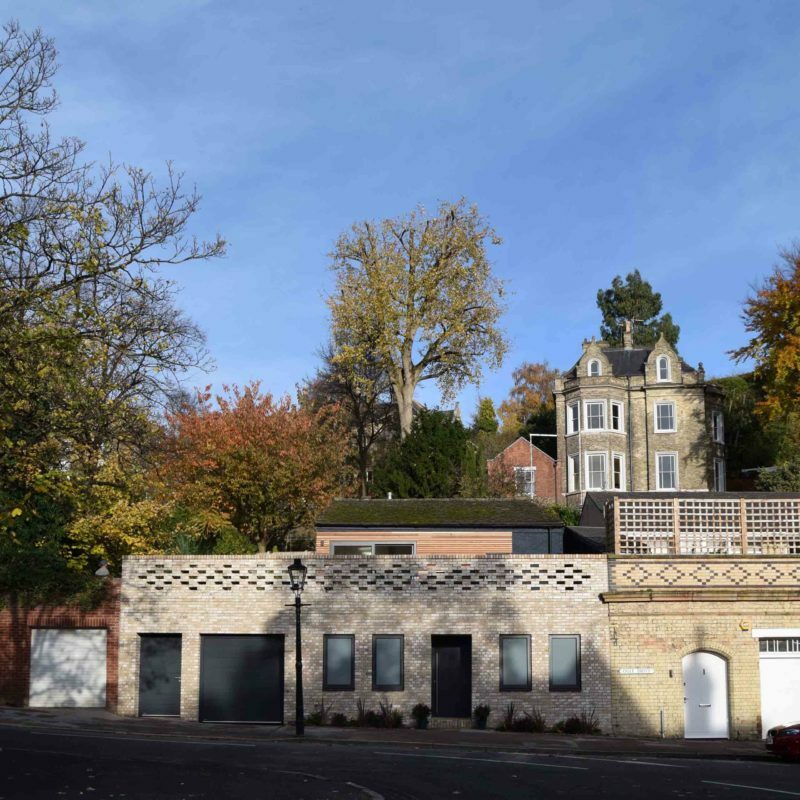 The Nottingham Mews House marks the radical transformation of a previously unloved and poorly conceived house at the heart of Nottingham’s Park Estate. The project featured on the 2nd series of Channel Four’s Ugly House to Lovely House with George Clarke. The project celebrates the very best elements of this unique location. The aim of the project is simple – to create a sense of joy and pride in arriving home. A new wall references the rich heritage of the surrounding Park. Intricate brick work creates an understated but decorative facade. The front door is set within a deep recess and opens into a space whose ceiling is replaced with a giant rooflight, creating an impression of an internalised courtyard. The main living spaces occupy the first floor level and a series of terraces link the house into the steely sloping topography of the site. Windows are positioned to give every space a dual aspect, soaking in light and views of the beautiful surroundings. Each space has its own character, from the generous living room, to the intimate kitchen and the vaulted ceiling of the dining room. Nottingham Mews House was been shortlisted in the 2018 RIBA East Midlands Awards.